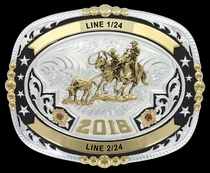 4" x 5¼" trophy buckle by Montana Silversmiths. 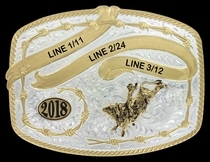 Up to four lines of engraving on two ribbons. 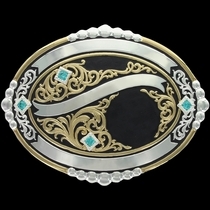 Shown here with a Midnight Black background. 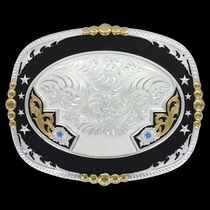 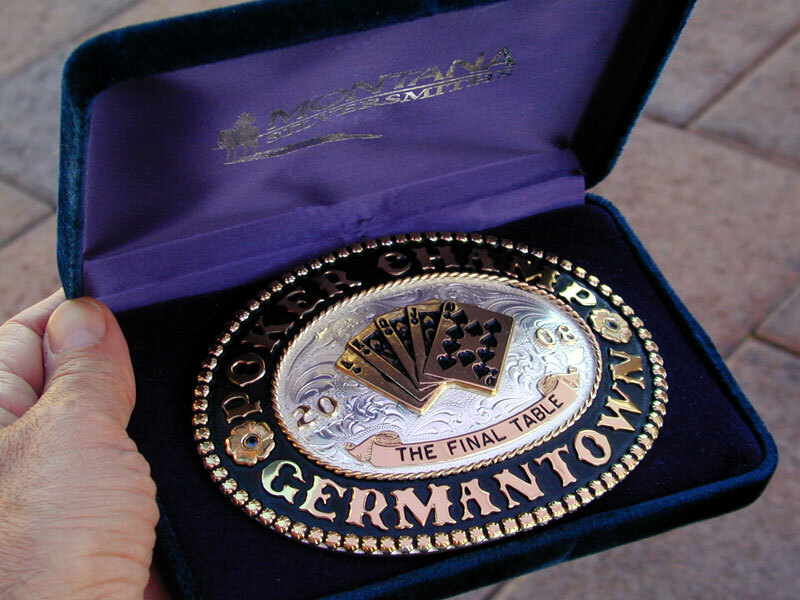 Displayed on this trophy buckle is a hand cut brand (add $75). 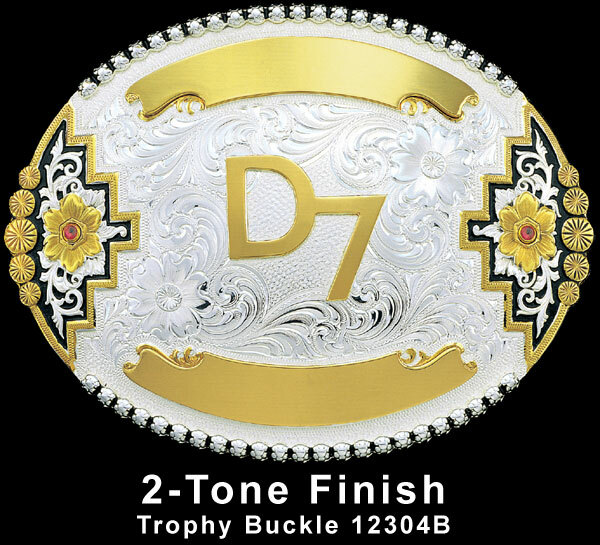 Our most popular trophy buckle! 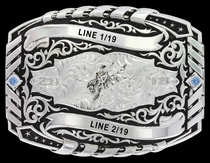 Features Montana Silversmiths' famous no-tarnish, no-chip MontanaArmor finish. 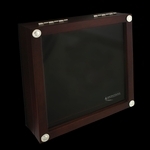 Add additional stones as an extra option (see Other Options below).